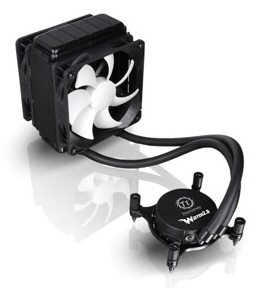 Thermaltake brought water cooling technology to the mainstream in 2002 with the introduction of Aquarius and BigWater Series of liquid cooling solutions for computer enthusiasts and DIYers. The solutions were developed by garnering enthusiast communities’ experience and feedback, coupled with Thermaltake’s core expertise in thermal management. 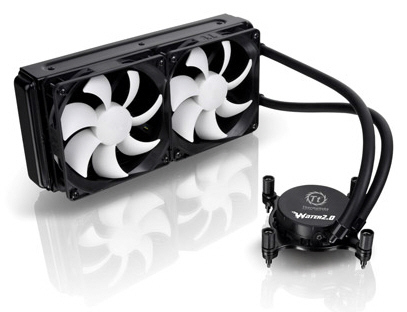 The goal was to enable PC enthusiasts to achieve higher PC performance by providing additional cooling needed in order for the CPU to run at higher frequency. 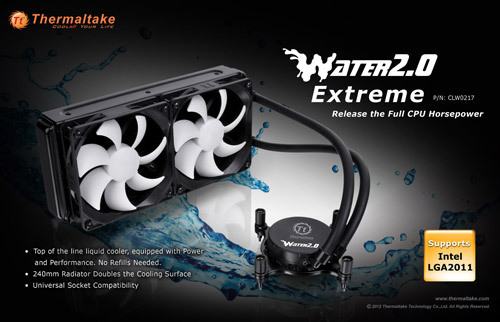 Today, Thermaltake is introducing its WATER2.0 line of liquid coolers and announcing immediate availability of the all-new WATER2.0 Performer and WATER2.0 Pro all-in-one closed-loop CPU liquid coolers. The WATER2.0 Performer and Pro are now available at major retailers in the United States and Canada. MSRP for WATER2.0 Performer is USD $69.99, and USD$99.99 for WATER2.0 Pro. The WATER2.0 Extreme will be available in July at major retailers with MSRP at USD $129.99. 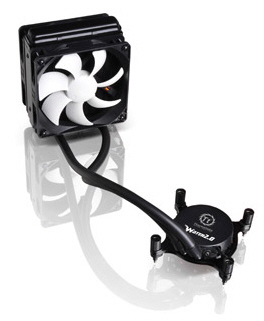 For more information, please visit the manufacturer’s product page: http://thermaltakeusa.com/Products.aspx?C=1444.